Black latex crinkle finish on warm acrylic liner with elasticated knitwrist for secure fit. 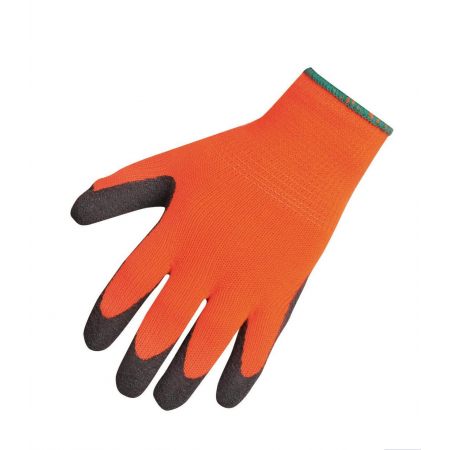 Portwest Workwear Thermal Grip Glove in Orange A140. The Thermal Grip Glove is perfect for construction, transportation refuse collection, maintenance and local authority work. This glove has a warm acrylic 10 gauge liner and is ideal for more heavy duty, outdoor tasks of those people working in cold conditions. Black latex crinkle finish on warm acrylic liner with elasticated knitwrist for secure fit. Ideal for outdoor heavy duty tasks.